October 15, 2017 was quite a windy Sunday. Being a mild fall day too, that meant Ontario’s demand for electricity was low according to the IESO’s Daily Market Summary. Total Ontario demand was only 313,000 MWh for the whole day. Unfortunately for ratepayers, it was a beyond the norm windy day — industrial wind turbines spread throughout the province were spinning well beyond their yearly average of 29/30% of capacity. 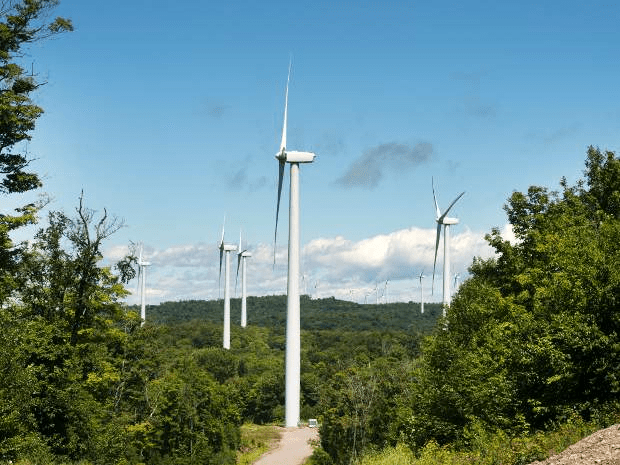 According to the IESO’s daily generator report, the wind turbines could have supplied almost 84,000 MWh* of power, or about 27% of all the power consumed by Ontario’s ratepayers (approximately 83% of their capacity). As it turned out, IESO curtailed or did not accept 42,500 MWh for which wind developers were paid $120/MWh anyway, and the 41,200 MWh grid-accepted power generation got them the standard $135/MWh. What the foregoing means is wind developers were paid approximately $10,660,000 for curtailed wind generation and grid-accepted power. That works out to a cost per MWh of $260 or 26 cents a kilowatt hour — almost double the current generation cost, for which 25% is being refinanced under the Fair Hydro Act. As it turned out, the grid-accepted wind generation really wasn’t needed: as the IESO “Summary” report indicates, Ontario’s net exports averaged 2,110MW per hour or 50,640 MW at a negative price of $0.99. That means Ontario’s ratepayers picked up another $50K to provide our neighbours (principally Michigan and New York) with cheap power. No doubt Ontario was also spilling hydro and steaming off Bruce Nuclear which ratepayers were also paying for on that windy October Sunday. More proof that wind power provides costly, intermittent and unneeded power. More proof that the Green Energy and Economy Act should be tossed out! At least when you stretch out your morgage payment to 30 years…. you own a house at the end…. Not all of the IWT’s need to be “tossed out”. Some are well placed and well maintained and produce as designed. Now having said that they should be treated like all other generators and shut down when not needed. An IWT can be started much easier than a nuke as long as the primer, nuke or gas or hydro is up. Any shutdown is a losing proposition but we should all be treated equally not preference given to the most expensive private profit making units. Can someone tell us what the lifespan of one of these relics is ,how much it costs to remove one when it’s life is over and just who pays for the removal. 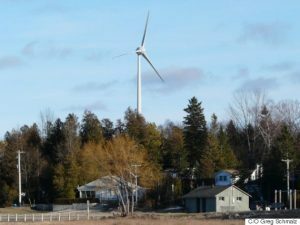 Canadian wind projects are not at end of life. So information from elsewhere might be helpful? Legal issues that might be considered? Or: Use internet search for this article. Original Questions: 20 Questions on Decommissioning, 3 pages. Covers a number of issues including water resources (surface and groundwater). Includes issues such as: Water resources (surface and groundwater). Im sure the MOE will be all over this!!! Last time I checked, Imperial Oil is about 70% owned by ExxonMobil? DTE will invest $15 billion over the next three decades in renewable energy and natural gas-burning power generation. Don’t ratepayers across North America have the right to know how much it’s going to cost them to transition to the green economy and what climate mitigation will cost? DTE does not supply electricity to all of Michigan. 15 B is only part of the cost? Hope our government is as generous when handing out compensation to folks that are being tortured by industrial wind power plants placed too close to peoples homes….